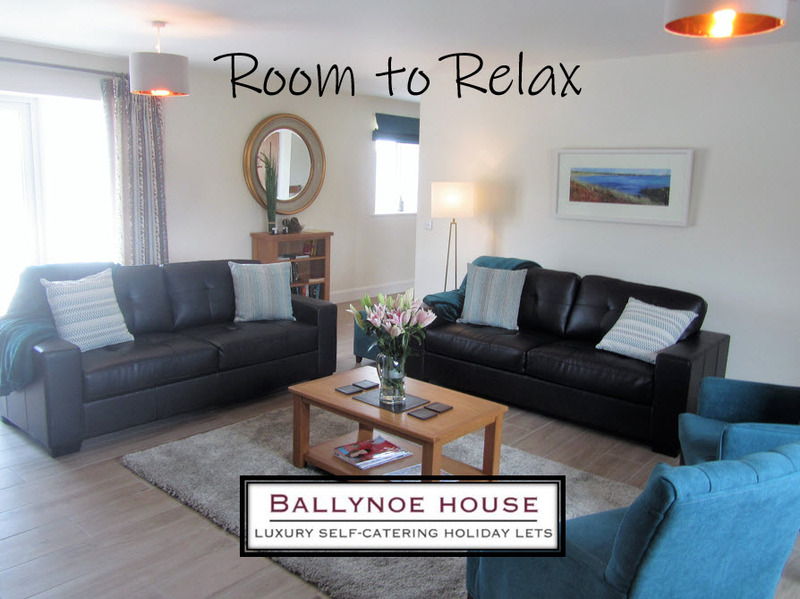 The self-catering holiday lets at Ballynoe House have an accommodation mix to suit almost every family, large or small. This flexibility was part of the design. 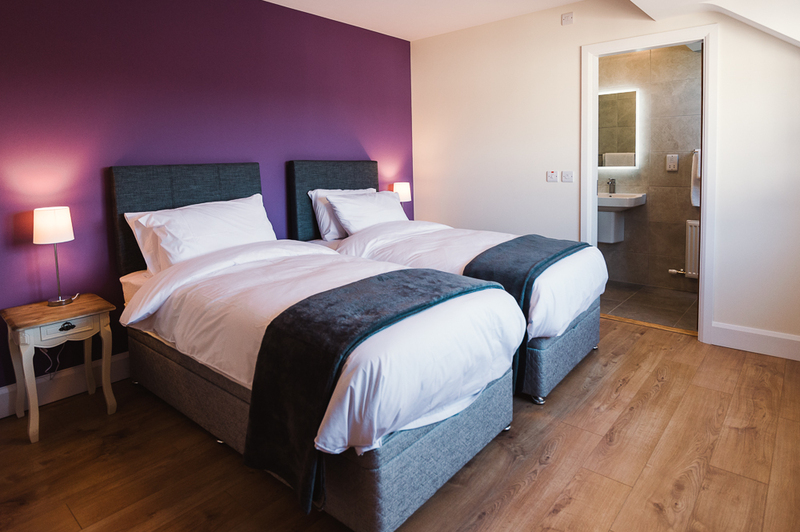 In addition to every bedroom being en-suite plus an additional family bathroom (just so there are no queues, whatever the size of family), look under the covers of each let to see how each type of accommodation can suit you. Conventionally, The Barn House provides 2 double bedrooms (king-sized beds) and two twin-bedded rooms, sleeping 8 in total. The twin beds can be zipped together to form super-king beds, to suit four couples staying together. However, the free travel cot in each holiday let allows up to 9 people in The Barn House, including a child under two years not occupying a bed. There is no limitation to parents who want to bring their own or additional travel costs, although child bedding is not provided. 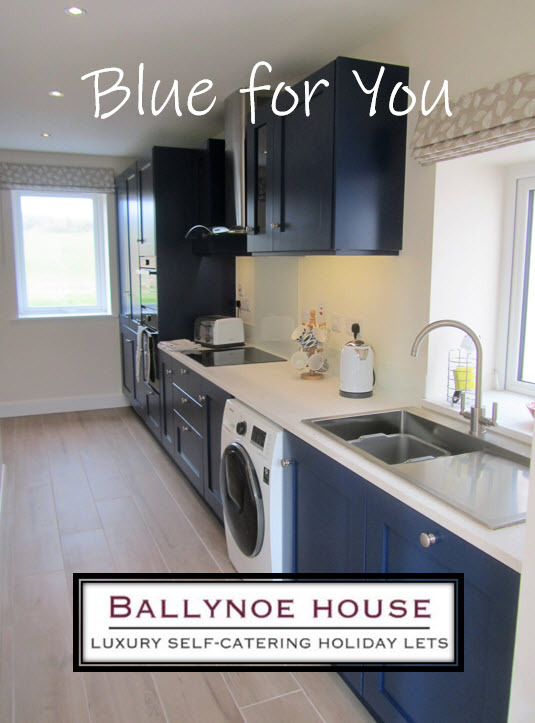 Each mews house in Ballynoe Mews is suitable for most families from 3 to 6. Conventionally, each mews house provides 2 double bedrooms which can be configured as twin-bedded rooms or zipped as super-kings, sleeping 4 in each house – suitable for couple or families. The free travel cot in each holiday let allows for the inclusion of a child under two years, i.e. accommodation for a family of 5. 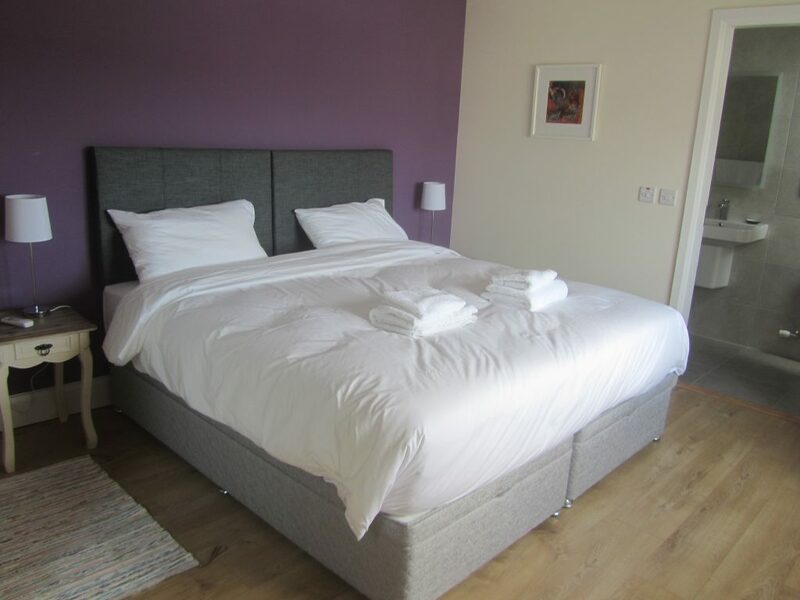 As with The Barn House, there are no limitations to parents who want to bring their own or additional travel costs, subject to them providing their own cot bedding. As an additional free facility, a fold-up bed can be provided for each mews house so that a family of 5 can be accommodated with all three older children sharing a room. This facility is not available in The Barn House. So, when including a travel cot in the same bedroom as the parents, each mews house can accommodate a family of six, with 2 of the children essentially included for free. 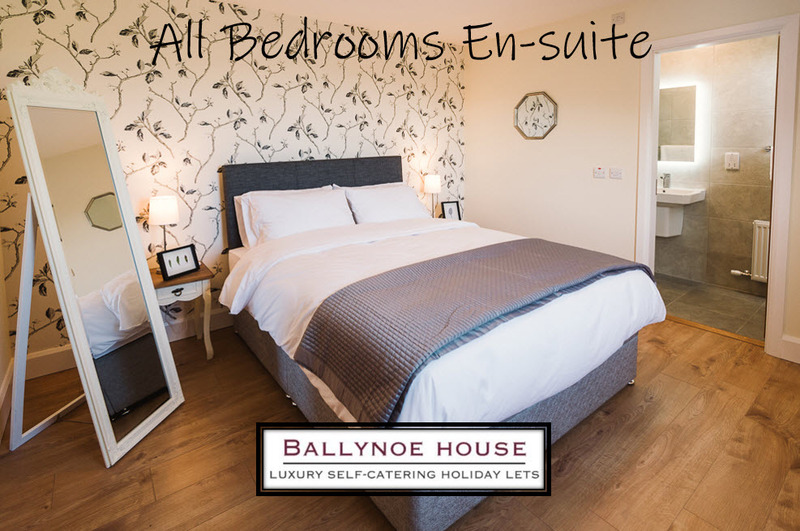 All Bedrooms are En-Suite at Ballynoe House. Whatever your accommodation needs, pick up the telephone or email us. We probably have a sleeping configuration to suit you. Book here.